Some things are just so easy to make, I wonder why it’s the norm to buy them. 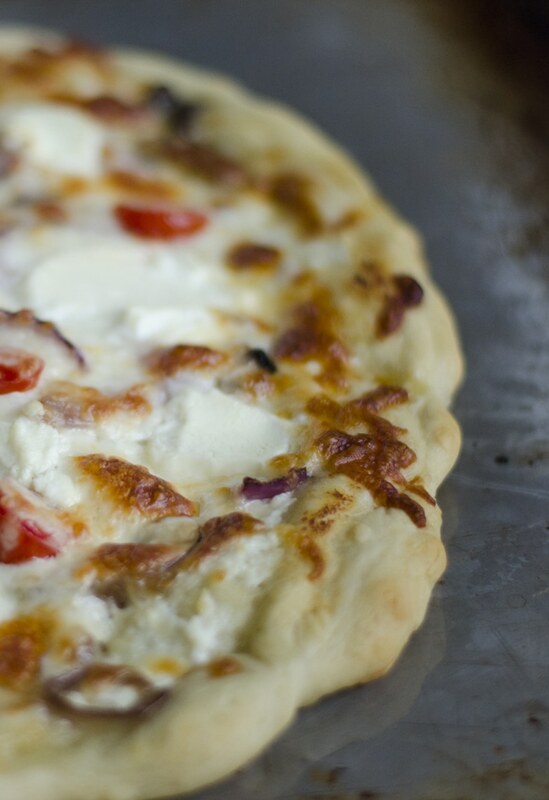 Homemade pizza dough is one of those things. Super bonus to making it at home: you’ll feel like a Disney princess as you’re kneading it into a fluffy pillow dough ball. First, get some warm water (105 degrees F -ish). Mix in 1 Tbsp yeast and 1 Tbsp sugar. This is going to activate the yeast (kind of like in the homemade cinnamon rolls from a few weeks ago). Let that sit for 5 to 10 minutes until all the yeast is dissolved and the top is really foamy, then mix in 1 tsp salt and 1 Tbsp olive oil. Now it’s time to get messy. Mix the flour into the wet mixture in ½ cup increments. (You can use bread flour or all-purpose flour. Bread flour is going to make for a softer inside and crunchy outside, while the all-purpose will make it chewy all the way through.) 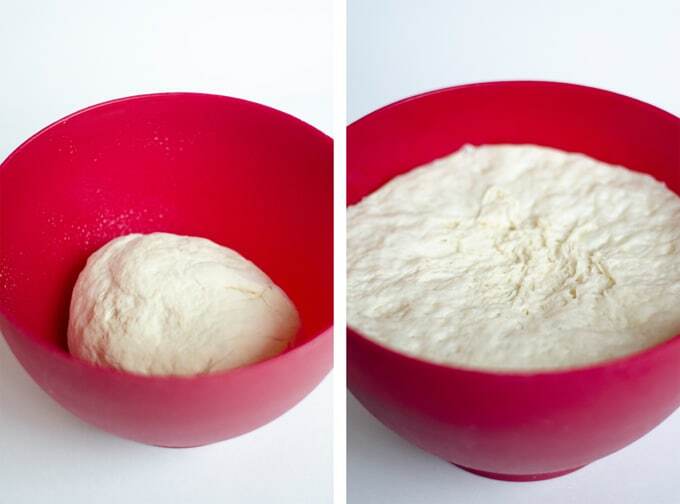 The dough will start to get difficult to mix with a spoon. 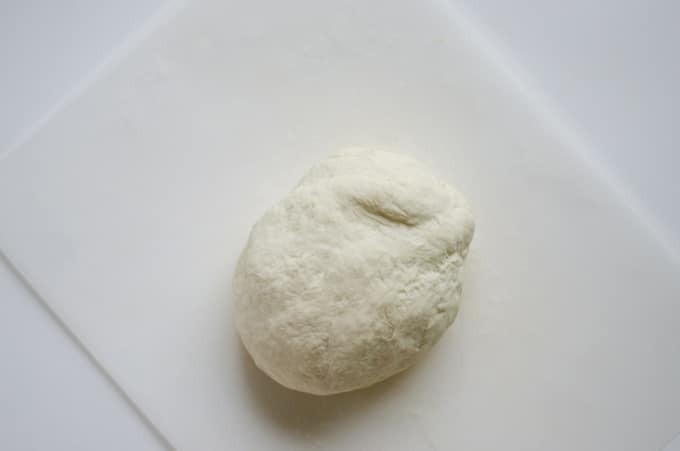 At this point, transfer the dough onto a lightly floured surface (like a clean counter or a cutting board), and continue to work the flour into the dough as you knead it. Knead for about 5 minutes, adding additional flour 1 Tbsp at a time if dough is really sticking to the surface. How do you knead dough? 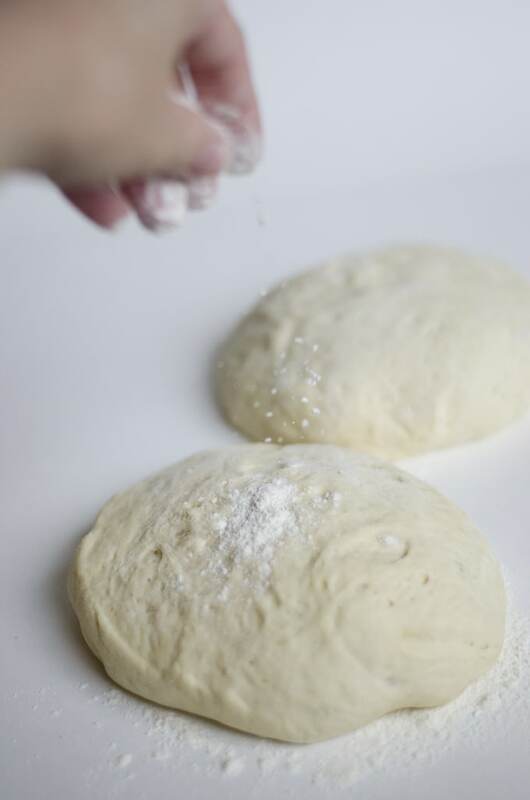 Work the dough into a ball, then press down and slightly forward with the heels of your hands. Fold the dough in half, then repeat. Kneading should be rhythmic and quick, and result in a smooth dough ball (or a fluffy pillow princess dough ball, as I like to call it). Why do you knead dough? Kneading develops the gluten proteins in the flour, which give it a soft interior and a crunchy exterior. Without kneading, less gluten develops, leading to a flat, dense bread. Bread flour has more gluten than all-purpose flour, and therefore will create a better texture in the dough. 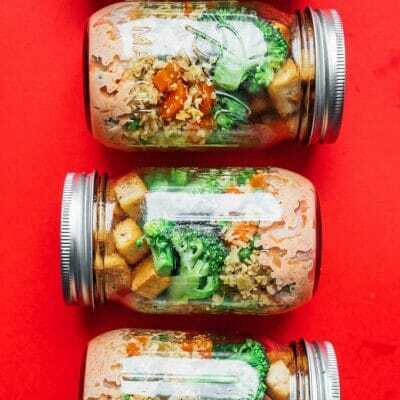 After you’ve kneaded the dough and your forearms are ready to fall off, place the ball in a lightly greased bowl, then cover with plastic wrap or a warm towel. Set in a warm place, then let rise for 1 to 2 hours, or until dough has doubled in size. Go preheat the oven to 475 degrees F (caliente!) 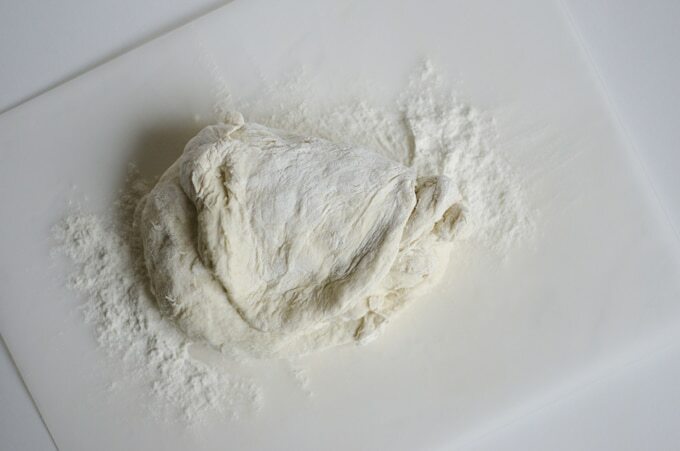 Dump the dough back onto a floured surface, then knead a few more times. Divide the dough into 2 equal sized balls, then cover with plastic wrap and let rest (zzzz) for 15 minutes. If you don’t plan on making 2 pizzas, you can freeze one of the balls now*. Stick whatever pan you’ll be using in the oven to get hot. Unless you have a pan specifically for pizzas, it may be difficult to get a crispy bottom, so heating up the pan will help with that. Once the dough has rested, form it into the classic pizza circle! 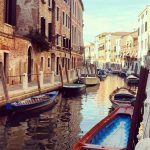 Now I know you’re probably not an Italian chef (and if you are, I humbly welcome you to my humble blog), but it’s easiest to use the weight of the dough itself to stretch it into the circle. You don’t have to get all acrobatic with it, just form the ball into a round disc, then pick up and hold it between your palm and fingertips. Rotate the disc quickly. You’ll start to see the dough stretching. Once the dough gets pretty thin, transfer it to a floured surface and continue to stretch until it’s about 12’’ across. It’s okay if it’s not perfectly round; I like to think the imperfection gives it a nice artisanal look. Or maybe that’s just my coping mechanism for my inability to get it round no matter how hard I try. Sigh. Heavily grease your baking sheet, then transfer dough onto it. Gently pinch the edges to create a smooth, raised, rim. Brush dough with a touch of olive oil, then top with your favorite ingredients! Cook for 10 to 12 minutes on a low rack, then broil about 2 minutes on the highest rack until cheese is golden. 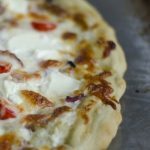 This Homemade Pizza Dough recipe is so easy and makes the best, most fluffy pizza dough! Mix yeast and sugar into warm water (about 105 degrees F...bathwater warm). Allow yeast to dissolve and froth for 5 to 10 minutes. 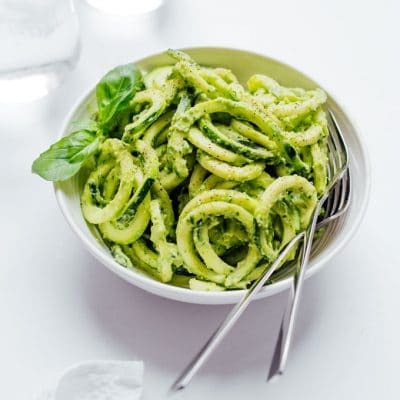 Mix salt and 1 Tbsp olive oil into yeast mix, then incorporate flour in ½ cup intervals. Once dough has become hard to stir, transfer to floured surface and continue to add flour while you knead until dough no longer sticks to your hands. Knead dough for 5 minutes until smooth. Place dough back on floured surface and knead a few more times. Form dough into 2 balls, then cover with plastic wrap and allow to rest for 15 minutes. 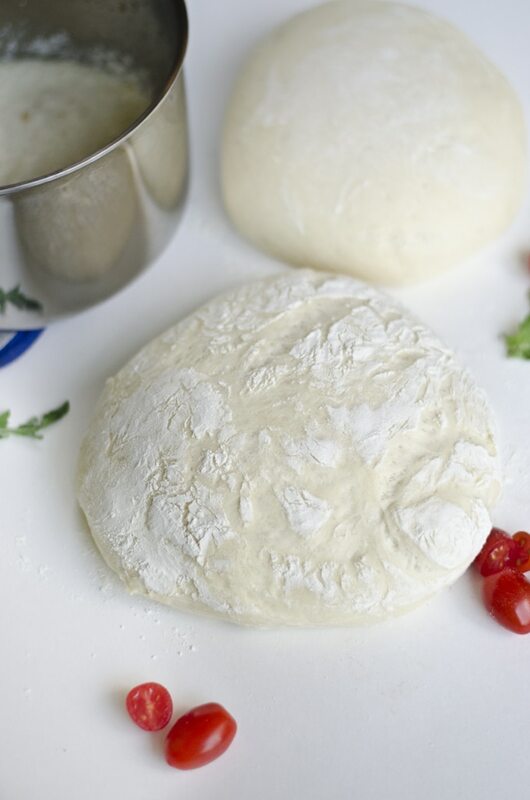 If you don’t intend to use both dough balls now, you can freeze one at this time*. Preheat oven to 475 degrees F. Place baking sheet in oven to get hot. Heavily grease your hot baking sheet, then transfer dough onto sheet. Brush dough with olive oil then top with your favorite ingredients (the Goat Cheese Pizza with Arugula & White Sauce is mighty tasty). Bake on lowest rack for 10 to 12 minutes, then move to upper rack and broil for 2 minutes. *If you don’t use the second ball, freeze it! Lightly coat the surface of the ball with oil, then wrap in plastic wrap or place in Ziploc bag. When you want to use it, let thaw in the refrigerator (12 hours), then let rest, covered, on counter right before use (30 minutes). It says one and a half. Is that 1 1/2cups?